ONLINE RESERVATIONS ARE LIVE FOR THE WINTER SEASON! If under 18 you must have a valid learners permit / drivers license present along with a legal guardian present. You may only drive on a guided tour. The Continental Divide tour, Fraser Valley Tour, and 1 hour Fraser Valley Family Tour. When booking children(ages 4-8) please use the below coupon codes for discounted rates on Guided tours for Tandem Sleds. Only valid for Continental Divide and Trailblazer 2 hour tours. 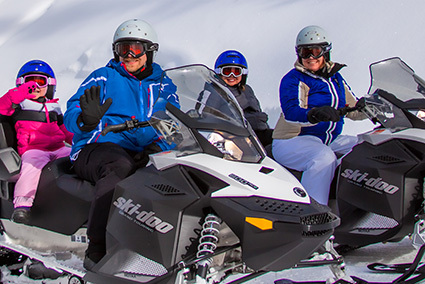 Want to explore the Continental Divide with friends and family? 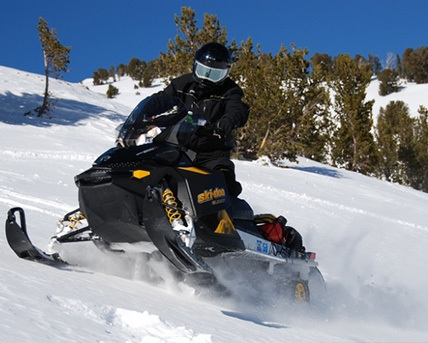 Our 2 hour and 4 hour unguided rentals is a great way to exp ore the Continental Divide on your own schedule. 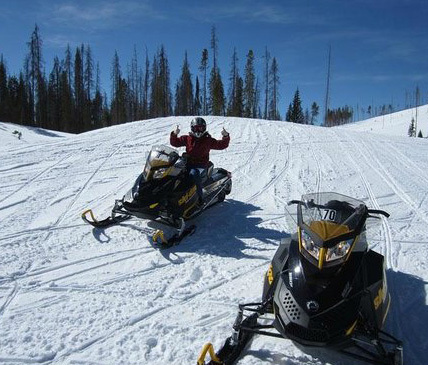 Want to explore the Continental Divide with friends and family? 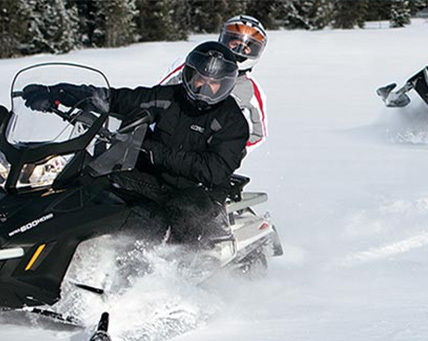 Our 2 hour and 4 hour Explore Grand Lake, the Snowmobile Capital of Colorado with our unguided rentals. Grand Lake offers a vast trail system and riding for all abilities! Book now for your 4 hour or 8 hour rental. Our 2 hour offering is only available to walk-in customers.